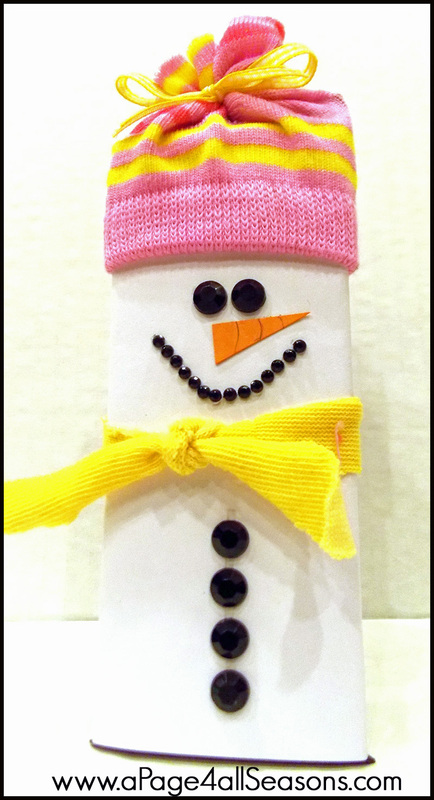 Shyloh Belnap: Good Things Utah Crafty Christmas Tips! And...Awesome give aways! 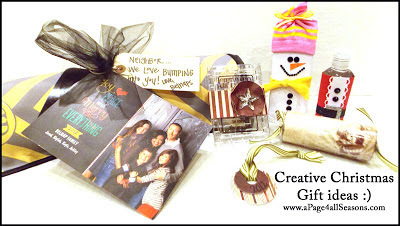 Good Things Utah Crafty Christmas Tips! And...Awesome give aways! Christmas is coming soon and I thought it would be fun to share a few fun ideas to make Christmas gift giving this year more personal! 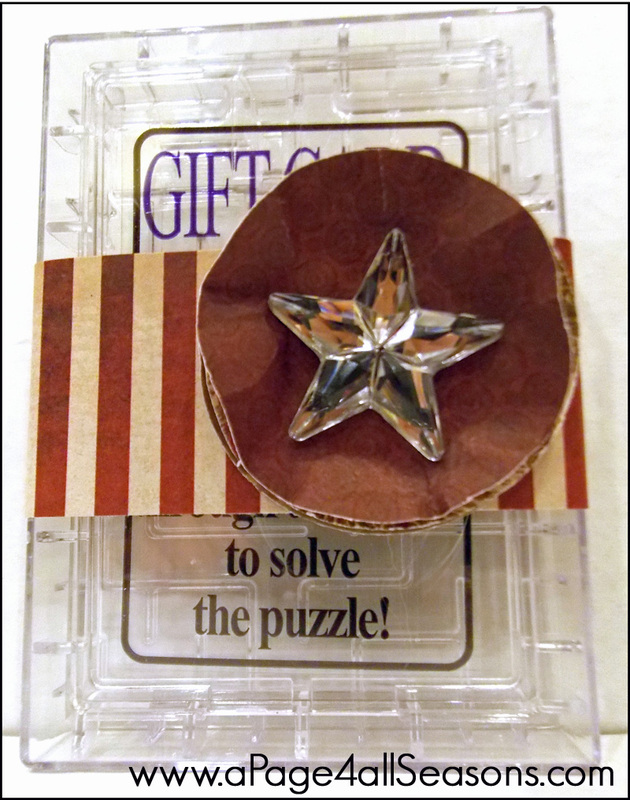 Cut a strip of paper about 1.5” thick and wrap around the gift. Cut (3) 2 inch circles and wrinkle them up. 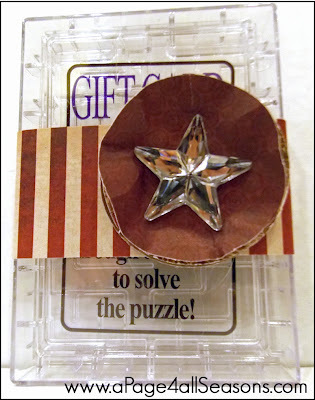 Glue them by the center on the strip and add a cute rhinestone star. I like to give gift certificates for the same reason I like to give gift cards! This cute wrapping makes it look like you spent just a little time adding that personal touch to the gift. This wrapping is easy, just wrap the paper around the roll and place the gift certificate inside so it doesn’t get wrinkled. I love to give neighbor gifts of things that I love. This Bumper Blanket is fun because it is creative and the company is from here in Utah! 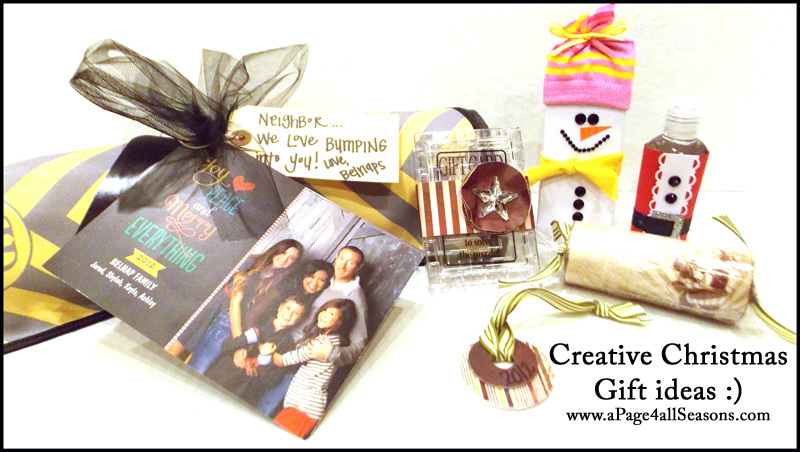 I used a tag I got from Office Depot that was very inexpensive and added the fun phrase “Neighbor, we love “bumping” into you!” I can’t help myself, tacky neighbor gift tags are to much fun at Christmas! I also used my family Christmas Card as a Tag for the gift so our neighbors know who it is from! I love using Camera Shy for pictures because they give you the picture CD with your sitting so I can insert professional photos versus the terrible pictures I take here at home! We also have a contest for a Bumper Blanket on the blog post right before this one! Check it out HERE! The winner for this contest will also be drawn on Friday, December 14th. Cut a red strip of cardstock and wrap around the bottle. Cut the white strip and use an edge punch or scallop scissors to cut the edges of the paper. Attach the rhinestones and strip of black paper as shown. Easy peasy! I just traced the washers and cut them to fit the washers. 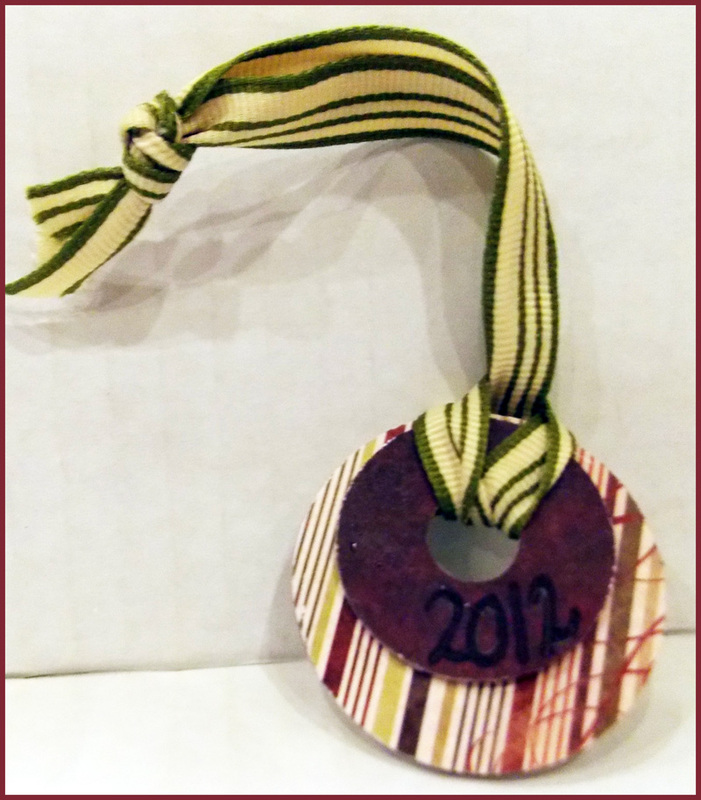 Then I hand wrote 2012 on the ornament. This is a great idea for kids to do at their Christmas Parties! Cut a white piece of card stock the length of your candy bar and wrap around the candy bar! 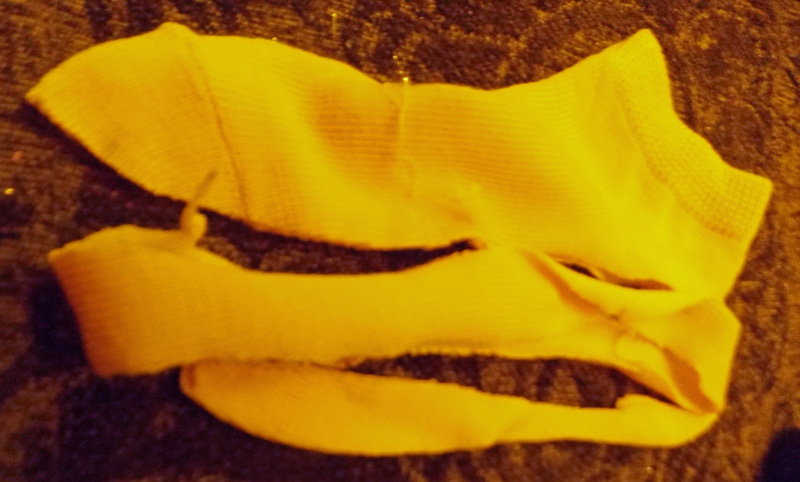 Put the sock on the top of the candy bar, tie a ribbon around he top of the sock and then cut the sock off. Add medium black rhinestones for the eyes and "buttons"
Add small rhinestones for the mouth. I use a strip of rhinestones to make it easy to form!